Cameras, bubble baths, creative games, and matinees . . . Need help to keep the spark alive in your marriage? 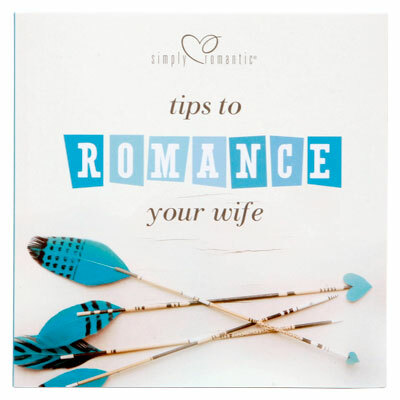 Tips to Romance Your Wife is filled with ways to tell her, “I love you more than ever!” These ideas will draw you closer together while having fun. Learn how to give romantic gifts and add a passionate twist to birthdays and holidays. Plan creative dates using bubble bath, creative games, postcards and more.